Periodic tidal flooding presents driving hazards, decays infrastructure, forces temporary business closures, and causes human health hazards. As sea levels continue to rise, today’s flood will become tomorrow’s high tide. Local governments need additional information to adequately plan for the future impacts of sea level rise. NOAA Office for Coastal Management staff members mapped inundation in Charleston, South Carolina using lidar-derived elevation data. 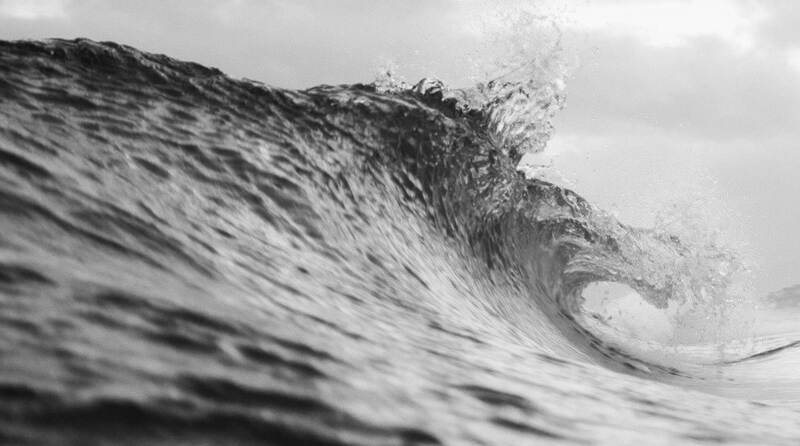 High-resolution elevation data sets are critical for predicting areas impacted during tidal and weather-related, short-term coastal flooding and for predicting impacts from relatively small changes in sea level. Lidar technology is a cost-effective method for collecting such high-accuracy data. A high tide of 7 feet (2.1 meters) was mapped as the threshold for minimal tidal flooding. An additional 1.6 feet (.5 meters) of sea level, a conservative estimate for the next 100 years, was added for comparison. Predicted tidal heights over the new threshold were calculated to determine the future number of days of minimal tidal flooding. 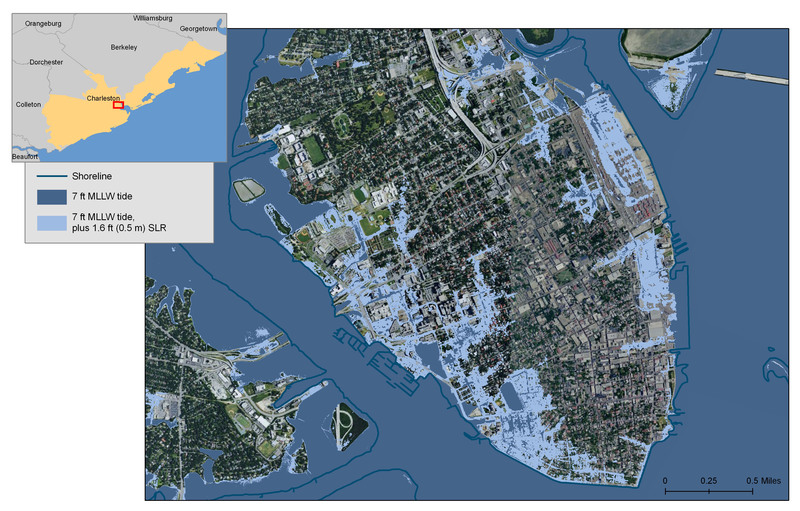 The map was used by a focus group to begin the conversation about the impacts of sea level rise on existing tidal flooding. The focus group participants validated the results by comparing the maps with on-the-ground knowledge of tidal flooding problem areas. In addition, participants discussed the type of information and graphics needed to educate local officials about the potential impacts of sea level rise. By mapping the extent of flooding and calculating the number of times tidal flooding is expected to occur in the future, city staff members can visualize potential problem areas and understand the frequency with which existing problems will increase. Using a simple handout as a communication tool to put future sea level rise in the context of existing tidal flooding problems enables staff members to more effectively discuss the issues with local officials. This is one of the initial steps in a long-term process to increase awareness and better prepare the city for future impacts from more frequent tidal flooding as a result of sea level rise.